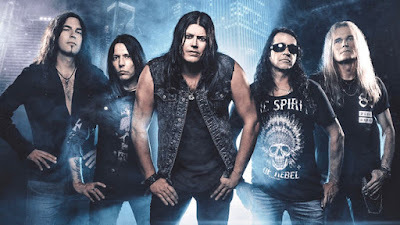 Rock & Metal 4 You: CD-Review: Shakra - "Snakes & Ladders"
CD-Review: Shakra - "Snakes & Ladders"
How fast time passes by - it feels like yesterday when singer Mark Fox rejoined the Swiss Hard Rockers of Shakra. It did not even take them two years to release the follow-up to their highly acclaimed reunion album "High Noon". I think it is the shortest period of time between two albums when it comes to these guys. 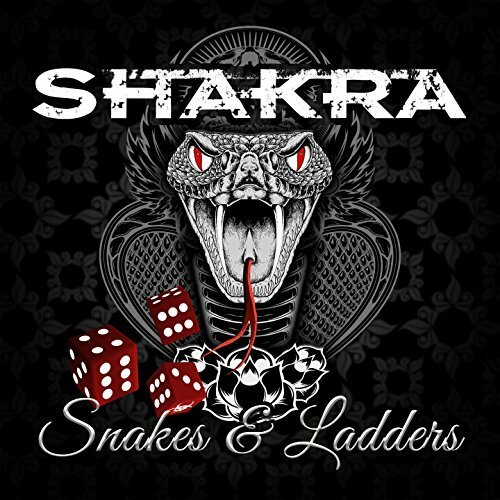 So is "Snakes & Ladders" a rushed record or an essential album in Shakra's band history? To give you a quick answer: to me it's a little bit of both. When I listened to this album for the first time it couldn't grab me like "High Noon" did and even after various listens I think this album has some more fillers to offer than previous records. And this is due to a more generic songwriting. The bluesy "Rollin'" or the title track belong to these type of songs. They aren't bad, but we we heard that stuff way better before. "Snakes & Ladders" was the first single from this album and compared to the single "Hello" from "High Noon" this new song doesn't have any chance, especially because the melody feels right off the shelf. That is one side of the coin. On the other hand you also find some of the best songs Shakra have written in recent years. The epic opener "Cassandra's Curse" and the fast "I will Rise Again" include everything you love about this band: great hooks, huge choruses, crunchy riffs and high-class guitar-solos - simply everything a Hard Rock fan could ask for. And then there is this one song that truely stands out: "Something You Don't Understand" has the word "HIT" written all over it, although it is not a typical Shakra song because it has a softer note and an even more commercial feel to it. But you can't escape this beautiful melody, especially in the chorus. Stunning! You see this album is a double-edged sword to me and same goes to the overall production/sound. While Thom Blunier delivers once more an outstanding production and the band sounds as good as ever I can't ignore a certain feeling of oversaturation, because Shakra don't add something new to their sound. On "Back On Track" and "Powerplay" for example they sounded fresh as hell. For sure with John Prakesh they had a new singer back then, but also the songwriting came along with a more modern twist at times and there was more varitey and energy. On "Snakes & Ladders" I have the feeling Shakra didn't have anything new to say. I had a similar feeling when "Everst" came out back in 2009. Because I've heard the voice of Mark Fox in combination with the same old song structures way too often back then. So when they split, Mark's solo records and Shakras albums with Prakesh appealed much more to me. On the other side I loved "High Noon", although there wasn't something new either, but that didn't bother me, because I didn't had this combination Shakra songwriting + Fox for some years. It felt more like coming home. And now with this new album Shakra step on the spot again. But this is a very personal feeling. Some might say that this continuity is what makes this band so special. They stay to their roots - and I also appreciate that somehow, because when you buy a Shakra album you know exactly what you get - even without hearing a new song before. So what is the final conclusion? 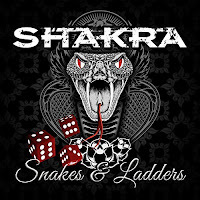 Let's say this: with "Snakes & Ladders" Shakra release a very solid album that stays true to the bands roots and their loyal fanbase, but without adding any innovations in songwriting or sound. It's still a good album (Shakra are not able to record a shity one), but not their best to date. We are talking here about nagging on a high level and aside all the criticism, Shakra managed it once again to knock out the latest Gotthard album - and that says a lot. Shakra always do the best with their album. Good song. Btw, just for your info there is Obat Herbal HIV AIDS that can cure HIV for real bruh.